Whether you are moving through menopause, dealing with pre-menstrual syndrome, looking to prevent breast cancer, or trying to get pregnant, it is essential to evaluate your hormones in the most effective way possible. Men too face hormonal issues, since hormones protect and regulate the prostate, play a role in erectile function and dysfunction, and also have a crucial role in generating libido in both men and women. Hormone issues can lead to a variety of clinical symptoms including but not limited to hot flashes, night sweats, irritability, irregular periods, sexual difficulties and brain fog. All too often however, these issues are addressed solely as hormone problems. But it’s important to consider the possible involvement of nervous, endocrine and immune systems. 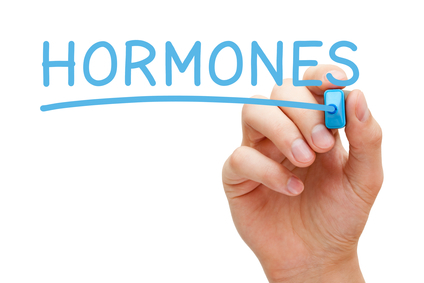 Hormones are produced by our pituitary, hypothalamus, adrenals, thyroid and gonads. They control everything from our reproductive functions to our mood, our sleep, our appearance—indeed, almost every aspect of daily life. It has become common to blame various problems on our hormones and in fact, there’s a little truth in this. These streams of hormonal output must remain in balance with one another in order to optimally regulate our physiological, psychological and emotional reactions. If you drag yourself out of bed in the morning, if you have uncontrollable sugar cravings or chronic headaches, if you lack energy or get stressed out by the slightest thing, the underlying cause may be a hormonal imbalance. This sort of imbalance tremendously increases the risk of conditions associated with aging: cancer, diabetes, osteoporosis and heart disease. If our hormones are in balance, however, we have the potential to reach one of life’s most attractive goals: to age gracefully and remain youthful to the end.